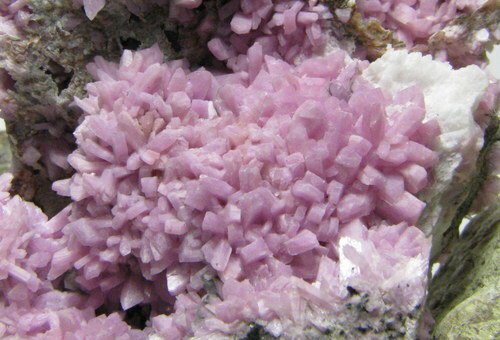 Inesite: Mineral information, data and localities. 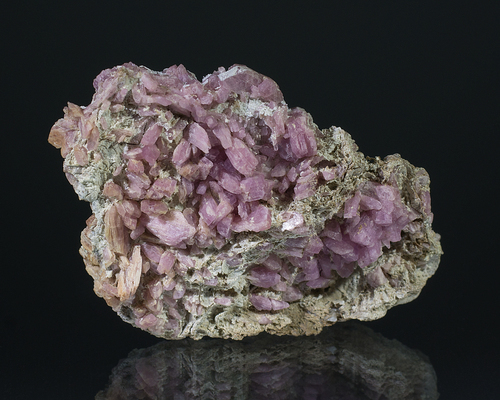 This page provides mineralogical data about Inesite. Hubeite 115 photos of Inesite associated with Hubeite on mindat.org. Calcite 67 photos of Inesite associated with Calcite on mindat.org. Quartz 44 photos of Inesite associated with Quartz on mindat.org. Apophyllite 42 photos of Inesite associated with Apophyllite on mindat.org. Natrolite 28 photos of Inesite associated with Natrolite on mindat.org. Prehnite 26 photos of Inesite associated with Prehnite on mindat.org. Hydroxyapophyllite-(K) 25 photos of Inesite associated with Hydroxyapophyllite-(K) on mindat.org. Xonotlite 24 photos of Inesite associated with Xonotlite on mindat.org. Fluorapophyllite-(K) 17 photos of Inesite associated with Fluorapophyllite-(K) on mindat.org. Datolite 16 photos of Inesite associated with Datolite on mindat.org. 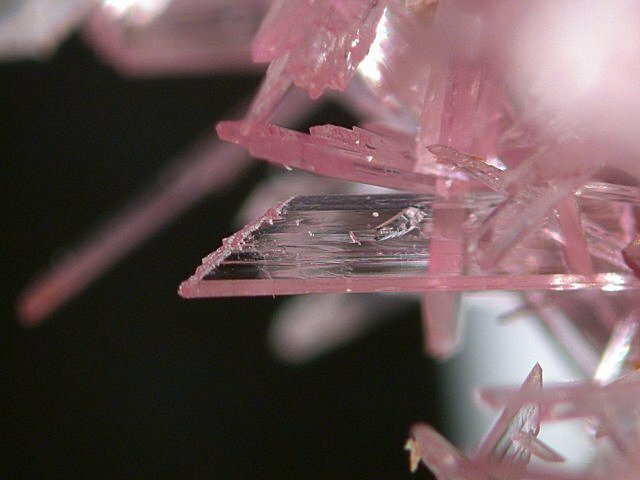 American Mineralogist (1978): 63: 563-571. The following Inesite specimens are currently listed for sale on minfind.com. Borgo, E., & Palenzona, A. (1988): I nostri minerali. Geologia e mineralogia in Liguria. Aggiornamento 1988. EE. VV. 48 pp. Passarino, G. (2009): L'inesite della miniera di Monte Nero, Rocchetta Vara, Val di Vara, La Spezia. Rivista Mineralogica Italiana, 4/2009, 260-262. J. Kitahara analysis; Kenji Togari, Masahide Akasaka and Yoshiyuki Kawaguchi (1986) INESITE FROM THE KOKURIKI MINE, HOKKAIDO, JAPAN. Jour. Fac. Sci., Hokkaido Univ., Ser. IV, vol. 21, no. 4, Feb., 1986, pp. 669-677. Akira Kato (2011) Explanations of distributed specimens at the Ordinary Meeting of Mumeikai Group, No. 34 (January, 2011). ; Kenji Togari, Masahide Akasaka and Yoshiyuki Kawaguchi (1986) INESITE FROM THE KOKURIKI MINE, HOKKAIDO, JAPAN. Jour. Fac. Sci., Hokkaido Univ., Ser. IV, vol. 21, no. 4, Feb., 1986, pp. 669-677.; Togari, K., & Akasaka, M. (1987). Okhotskite, a new mineral, an Mn3+-dominant member of the pumpellyite group, from the Kokuriki mine, Hokkaido, Japan. Mineralogical Magazine, 51(62), 611-614. Janet Clifford (2011) Rocks & Minerals, 86, #3, 254-255. Yoshimura, T. and Momoi, H. (1960) Inesite from the Kacho mine, Kochi Prefecture. Koubutsugaku Zasshi, 5, 1-10. Ryoichi SADANAGA and Michiaki BUNNO (1974) THE WAKABAYASHI MINERAL COLLECTION Bulletin No. 7 The University Museum, The University of Tokyo; (Masutomi Museum specimen, Kyoto; Takasu, S. (1955) On inesite from Rendaiji. Mineralogical Journal, 1, 242-249. Panczner (1987): 239.; Farrington, O. C. (1900) New mineral occurrences. Field Columbian Mus. Pub. 44, Geol,. Ser. l, (7),221-231. R.L. Brathwaite and K. Faure, Economic Geology, Vol. 97, 2002, pp. 269-290.; Simpson, M. P., & Mauk, J. L. (2011). Hydrothermal alteration and veins at the epithermal Au-Ag deposits and prospects of the Waitekauri area, Hauraki goldfield, New Zealand. Economic Geology, 106(6), 945-973. Gutzmer, J. & Cairncross, B. (1993): Recent discoveries from the Wessels mine South Africa. Mineralogocal Record 24 (5): 365-368; Beukes, N. J., Burger, A. M., & Gutzmer, J. (1995). Fault-controlled hydrothermal alteration of Palaeoproterozoic manganese ore in Wessels Mine, Kalahari manganese field. South African Journal of Geology, 98(4), 430-451. Palache, C., Berman, H., & Frondel, C. (1951), The System of Mineralogy of James Dwight Dana and Edward Salisbury Dana, Yale University 1837-1892, Volume II: 1037.
ⓘ Nelson Bailey Mine (Nelson lease; Bailey Mine; Newhall Mine) ? ⓘ Steep Hollow claims ? Trask, Parker Davies (1950) Geologic description of the manganese deposits of California. California Division of Mines Bulletin 152, 378 pp. : 116; Pemberton, H. Earl (1983), Minerals of California; Van Nostrand Reinholt Press: 414.
ⓘ Ladd Mine (Old Ladd Mine; Corral Hollow Mine; Carral Hollow Mine) ? Murdoch, Joseph & Robert W. Webb (1966), Minerals of California, Centennial Volume (1866-1966): California Division Mines & Geol. Bulletin 189: 228.
ⓘ Cummings Mine (Cummings lease; Section 13; Lone Tree; Winship property) ? Trask, Parker Davies (1950) Geologic description of the manganese deposits of California. California Division of Mines Bulletin 152, 378 pp. : 217-218, 287-288; Pemberton, H. Earl (1983), Minerals of California; Van Nostrand Reinholt Press: 414.; Huebner, J. Stephen; Flohr, Marta J. (1990) Microbanded manganese formations; protoliths in the Franciscan Complex, California; USGS Professional Paper 1502. Trask, Parker Davies, Ivan F. Wilson & F.S. Simons (1943), Manganese deposits of California – a summary report: California Division Mines Bulletin 125: 59; Pemberton, H. Earl (1983), Minerals of California; Van Nostrand Reinholt Press: 414. Trask, Parker Davies, Ivan F. Wilson & F.S. Simons (1943), Manganese deposits of California – a summary report: California Division Mines Bulletin 125: 198; Pemberton, H. Earl (1983), Minerals of California; Van Nostrand Reinholt Press: 414.; Huebner, J. Stephen; Flohr, Marta J. (1990) Microbanded manganese formations; protoliths in the Franciscan Complex, California; USGS Professional Paper 1502.